Since I was a little kid, I knew that one day I would live in the DC area. My sister was the first in my family to move there when she enrolled at Columbia Union College* in Takoma Park, Maryland. Then my brother. I attended CUC about 10 years after that. * A few years ago the name of my old school was changed to Washington Adventist University. 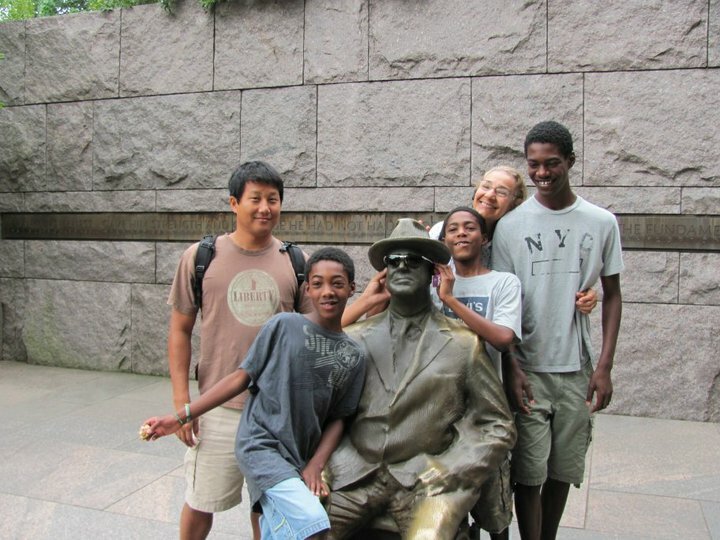 While my siblings were in college, my parents and I would visit Maryland. 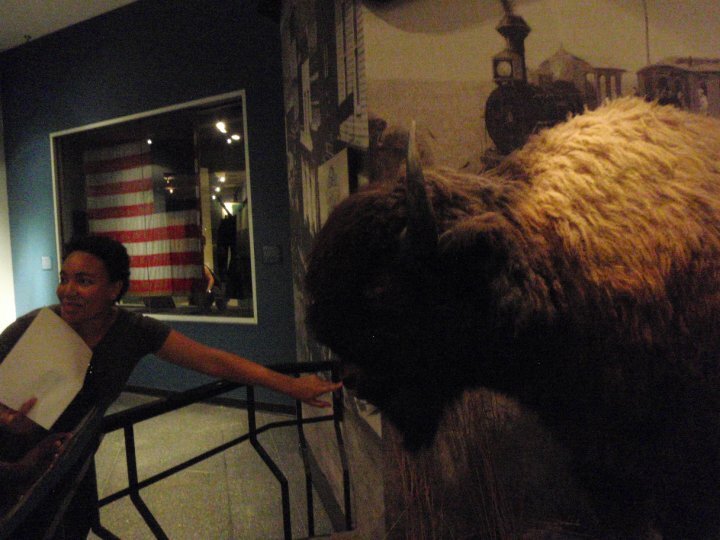 I loved Maryland. 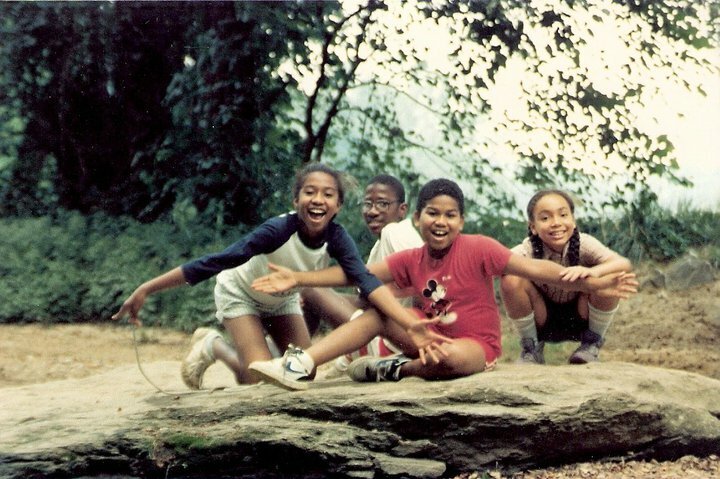 There was always something great to do in DC. And, Virginia has some wonderful nature trails. So, when it was time for me to go to college I didn’t even have to think about it. I lived in Maryland for about 5 years, with the exception of the time I packed up all my stuff and moved to Walla Walla, Washington. That didn’t last long and I moved back to DC to finish my degrees at CUC. But, since I moved away I had only visited once and that was over 5 years ago. My first evening in Maryland I had dinner with Janel. I first met Janel in Happy Apple Day Care in St. Croix, where I grew up. I don’t actually remember meeting her. I’ve just always known her. Unfortunately, I’ve lost many of the pictures that were taken of us together. Many of the photos I use of myself as a little kid, actually belong to my brother. My mother doesn’t really keep track of photos. Janel is somewhere in the picture above. 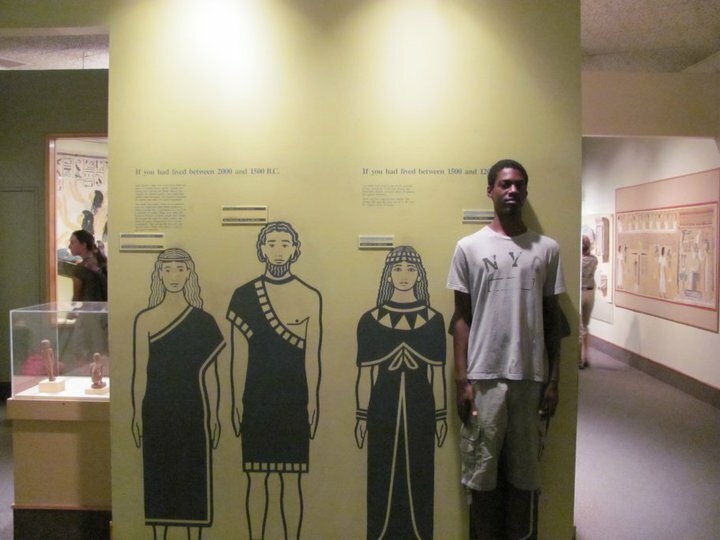 You can find me easily since I was the tallest person in the class that year; even taller than the teacher. Janel and I have not really kept in contact. We used to email each other regularly when I first moved to England. But our lives have both been busy. Janel earned a masters, works hard, and she got married last year. It was great to see her again. But for some reason I forgot to get a picture with her. I don’t know how I managed that since I am the type of person to snap a photo of any and everything! 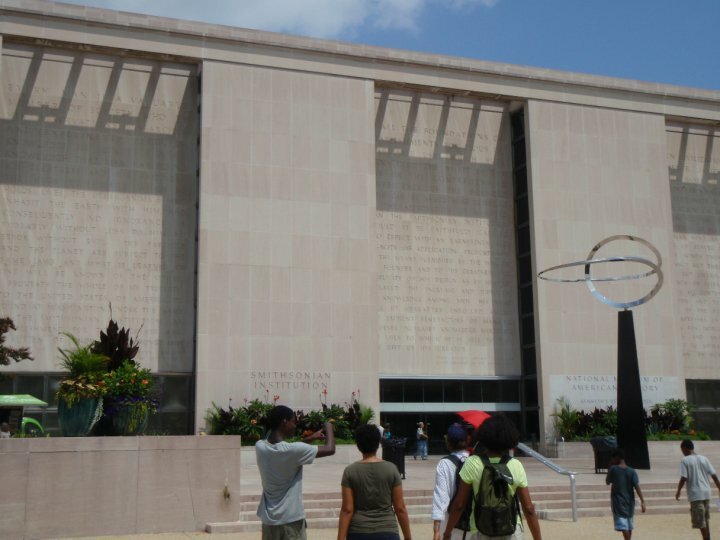 After leaving DC, I was shocked that most museums in the world charge an entry fee. “Who would pay to see a museum?” I thought. Well, not Washingtonians. Not only are the museums free, but they are all very fabulous. I spent many a summer afternoon in them when I had no money and wanted some AC. 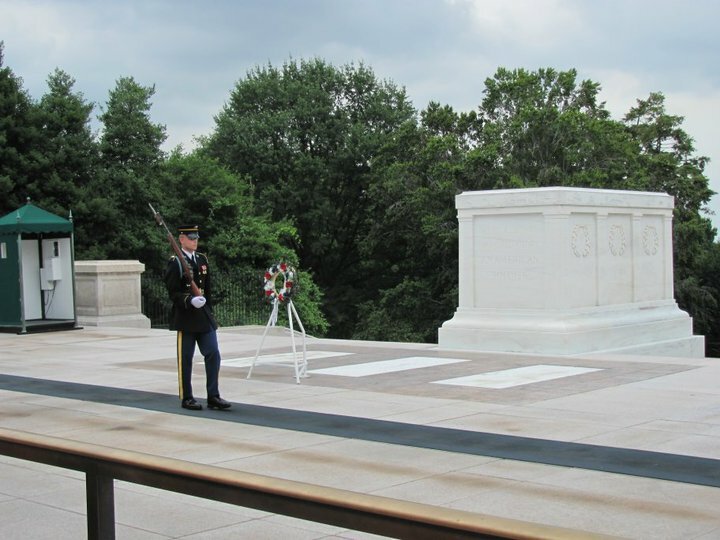 Our last stop on our tour was at Arlington Cemetery in Arlington, Virginia. This is the place where 2 presidents, John F. Kennedy and William Howard Taft, are buried. The tour we were on gave us lots of information about some of the thousands of people buried at the cemetery, but it was too much too quickly. 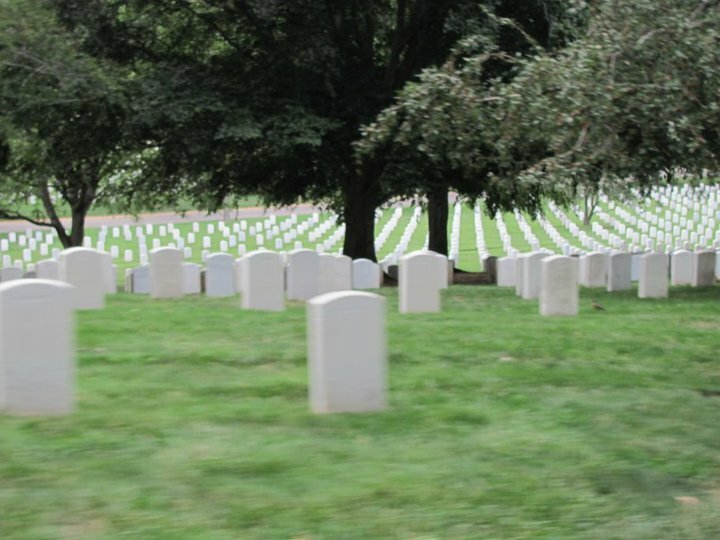 When you stand in Arlington Cemetery you get an overall feeling of sadness. Most of the people there died while in their early 20’s. There are so many graves; too many graves. It’s so big, we needed to ride a bus to see it all. 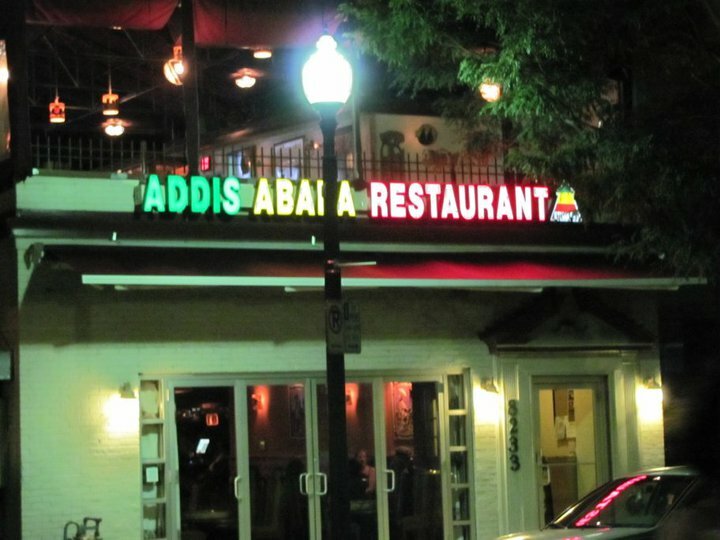 DC is known for its Ethiopian food. I was the one who requested it. I just could not leave DC without having some Ethiopian food. I love the stuff. You eat with your hands. There are no utensils; just pick up your food with a piece of bread. Sampling your neighbors’ food is encouraged… at least when I’m around. Orange and Blue Metro Line stops for the Smithsonian are closest to the Memorial, but it’s a good walk from the station. Parking is available along Ohio Drive, SW, between the Lincoln and Thomas Jefferson Memorials. This is a great place to park when sightseeing in DC, because it’s free and there is a higher probability of finding a space here than anywhere else. The earlier you get here the better. The parking is technically only for 3 hours. We parked here all day and did not get a ticket, but there was a risk of getting a fine. The memorial was designed for people, dogs, and kids to play in the water. But then the water got really dirty and it also became a safety hazard, so it is no longer legal to play in the water. From 1st Street NW to 14th Street NW, between Madison and Jefferson Drives, and from 14th Street NW to 23rd Street NW, between Independence and Constitution Avenues. There are some free, public, parking available along Ohio Drive, SW, between the Lincoln and Thomas Jefferson Memorials. Metered parking on some DC streets is restricted to two hours. There are commercial garages downtown, north of the Mall. Sometimes it is easier to park at a metro station in Maryland or Virginia and take the metro to DC. This is a great place to celebrate 4th of July, the Cherry Blossom Festival, and many other events. One summer they did free outdoor movies. It was great! You can also park for free by the capitol building on weekends. It’s reverse parking only. Free. Yes. All of them are absolutely FREE! 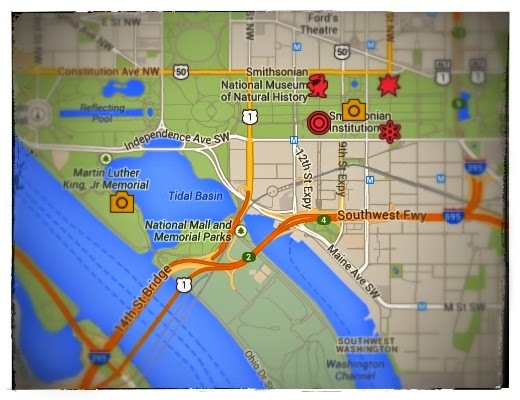 There are more Smithsonian museums around DC and in New York and Virginia. Go to Arlington Cemetery Station on the blue line. There is a tour bus that cost 7USD. Paying the 7 bucks for the bus tour is well worth it. It’s a long walk up hill to see Kennedy, the unknown solider, and other graves. Free parking on weekends and after 18:00.